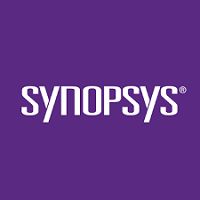 Synopsys Recruitment 2019: Synopsys recruiters are going to hire B.E, B.Tech Freshers for the Intern (Hardware Verification Engineer) role. Those who are hunting for the latest Jobs In Hyderabad, they must and should have to check this entire page. Furthermore, they are looking for talented candidates who will work honest with the organization. Moreover, if you are fit for this job, then, you can easily apply and attend the Synopsys Recruitment 2019 Drive. Only freshers can have the chance to attend and attain the exciting opportunity. To crack the Synopsys Recruitment Process, you need to click on the Online Registration Link attached to the end of this page. Candidates who want to apply for the Synopsys Recruitment 2019 Drive, they must and should have to follow the below given procedure. Go to the official site of the Synopsys @ synopsys.com. The home page of the Synopsys is displayed. Then, go for the Careers section. In that, candidates need to search for the recent Job Opportunities in Synopsis or you can easily click on the below link. There, you need to then select the desired location, profile and criteria. soon after that, you can get the recent on going job list. Upload the relevant documents in any required. Submit the Application form and also download it. Print out the copy of it for further usage. Hope you all got the accurate stuff about the Synopsys Recruitment 2019 Drive. So, to get such notifications, you can stick on to us on Freshers Now or else, you can easily keep in touch by bookmarking and allowing the notifications.